Linux Mint, a distribution based on Ubuntu, was first launched in 2006 by Clement Lefebvre, a French-born IT specialist living in Ireland. Originally maintaining a Linux web site dedicated to providing help, tips and documentation to new Linux users, the author saw the potential of developing a Linux distribution that would address the many usability drawbacks associated with the generally more technical, mainstream products. After soliciting feedback from the visitors on his web site, he proceeded with building what many refer to today as an “improved Ubuntu” or “Ubuntu done right”. Mageia might be the newest distribution on this list, but its roots go back to July 1998 when Gaël Duval launched Mandrake Linux. At the time it was just a fork of Red Hat Linux with KDE as the default desktop, better hardware detection and some user-friendly features, but it gained instant popularity due to positive reviews in the media. Mandrake was later turned into a commercial enterprise and renamed to Mandriva (to avoid some trademark-related hassles and to celebrate its merger with Brazil’s Conectiva) before almost going bankrupt in 2010. It was eventually saved by a Russian venture capital firm, but this came at a cost when the new management decided to lay off most of the established Mandriva developers at the company’s Paris headquarters. Upon finding themselves without work, they decided to form Mageia, a community project which is a logical continuation of Mandrake and Mandriva, perhaps more so than Mandriva itself. Although Fedora was formally unveiled only in September 2004, its origins effectively date back to 1995 when it was launched by two Linux visionaries — Bob Young and Marc Ewing — under the name of Red Hat Linux. The company’s first product, Red Hat Linux 1.0 “Mother’s Day”, was released in the same year and was quickly followed by several bug-fix updates. In 1997, Red Hat introduced its revolutionary RPM package management system with dependency resolution and other advanced features which greatly contributed to the distribution’s rapid rise in popularity and its overtaking of Slackware Linux as the most widely-used Linux distribution in the world. In later years, Red Hat standardised on a regular, 6-month release schedule. The beginnings of openSUSE date back to 1992 when four German Linux enthusiasts — Roland Dyroff, Thomas Fehr, Hubert Mantel and Burchard Steinbild — launched the project under the name of SuSE (Software und System Entwicklung) Linux. In the early days, the young company sold sets of floppy disks containing a German edition of Slackware Linux, but it wasn’t long before SuSE Linux became an independent distribution with the launch of version 4.2 in May 1996. In the following years, the developers adopted the RPM package management format and introduced YaST, an easy-to-use graphical system administration tool. Frequent releases, excellent printed documentation, and easy availability of SuSE Linux in stores across Europe and North America resulted in growing popularity for the distribution. The KISS (keep it simple, stupid) philosophy of Arch Linux was devised around the year 2002 by Judd Vinet, a Canadian computer science graduate who launched the distribution in the same year. For several years it lived as a marginal project designed for intermediate and advanced Linux users and only shot to stardom when it began promoting itself as a “rolling-release” distribution that only needs to be installed once and which is then kept up-to-date thanks to its powerful package manager and an always fresh software repository. As a result, Arch Linux “releases” are few and far between and are now limited to a basic installation CD that is issued only when considerable changes in the base system warrant a new install media. Launched in late 2003, CentOS is a community project with the goals of rebuilding the source code for Red Hat Enterprise Linux (RHEL) into an installable Linux distribution and to provide timely security updates for all included software packages. To put in more bluntly, CentOS is a RHEL clone. The only technical difference between the two distributions is branding – CentOS replaces all Red Hat trademarks and logos with its own. Nevertheless, the relations between Red Hat and CentOS remain amicable and many CentOS developers are in active contact with, or even employed directly by, Red Hat. PCLinuxOS was first announced in 2003 by Bill Reynolds, better known as “Texstar”. Prior to creating his own distribution, Texstar was already a well-known developer in the Mandrake Linux community of users for building up-to-date RPM packages for the popular distribution and providing them as a free download. In 2003 he decided to build a new distribution, initially based on Mandrake Linux, but with several significant usability improvements. The goals? It should be beginner-friendly, have out-of-the box support for proprietary kernel modules, browser plugins and media codecs, and should function as a live CD with a simple and intuitive graphical installer. FreeBSD, an indirect descendant of AT&T UNIX via the Berkeley Software Distribution (BSD), has a long and turbulent history dating back to 1993. Unlike Linux distributions, which are defined as integrated software solutions consisting of the Linux kernel and thousands of software applications, FreeBSD is a tightly integrated operating system built from a BSD kernel and the so-called “userland” (therefore usable even without extra applications). 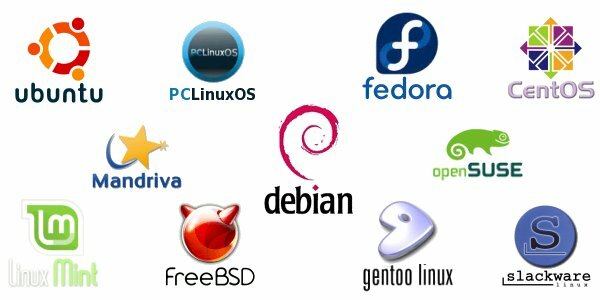 This distinction is largely lost once installed on an average computer system – like many Linux distributions, a large collection of easily installed, (mostly) open source applications are available for extending the FreeBSD core, but these are usually provided by third-party contributors and aren’t strictly part of FreeBSD.